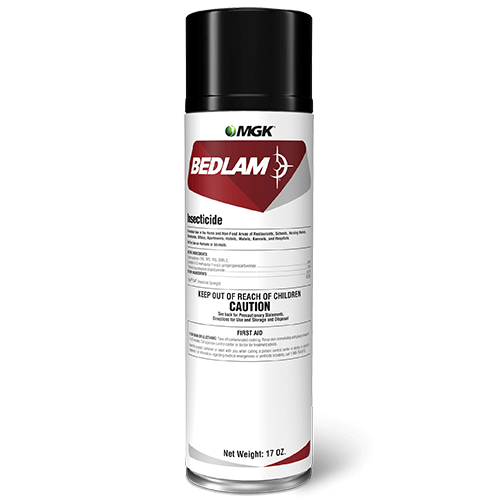 Bedlam Insecticide aerosol kills and controls bed bugs, lice and dust mites. Labeled for use in the toughest hiding places including headboards, box springs and mattresses, Bedlam is a water-based product that won’t stain water-safe fabrics and is non-irritating to humans and animals. Bedlam is the first name in bed bug control. What package sizes are available for Bedlam?